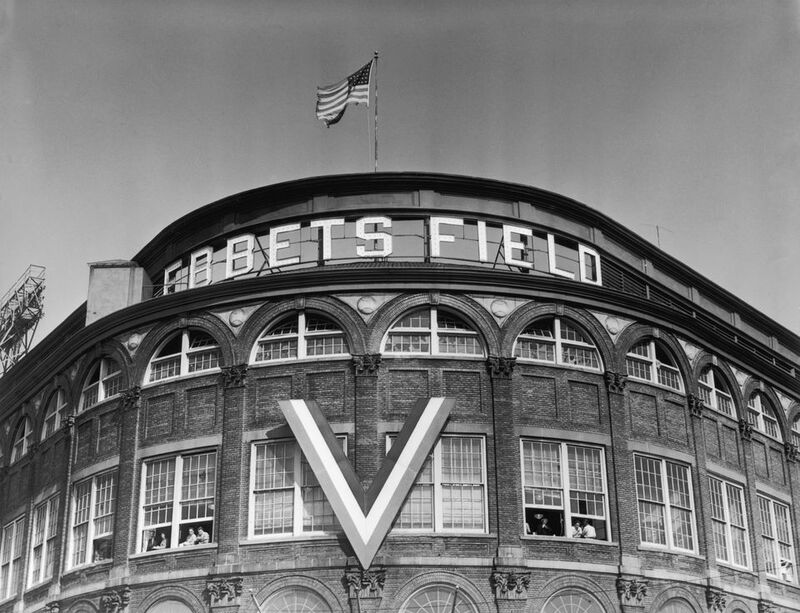 Where Is the Brooklyn Dodgers' Ebbets Field? There are many people in Brooklyn who still mourn the loss of the Brooklyn Dodgers. In fact, I'm related to some of them. Although in recent years, Brooklyn has become home to three new teams, people still talk about the Dodgers and it doesn't seem to lessen the blow. The Brooklyn Dodgers are an important part of baseball history and they had quite a run in this borough. Brooklyn is now home to The Islanders, a National Hockey League team. The borough is also home to the Nets, an NBA team. Both call Barclays Center home. Yet, we still have to choose between the Yankees and the Mets when we root for a Major League Baseball team because we don't have an MLB baseball team. However, Brooklyn does have a baseball team. The Brooklyn Cyclones play at MCU Park. Although it's a Minor League baseball team, the excitement for the Cyclones is intoxicating. Brooklyn folks cheer for this local team as they feel the ocean breeze at this scenic oceanfront stadium. The summer-long season includes weekly fireworks displays, themed nights, and an annual race where folks are invited to run the bases on MCU field. Brooklyn's sports teams are growing, but if you want to travel back in time to the glory days of baseball, you will find a bit of baseball history still exists on the streets of Brooklyn. If you look closely, signs of the Dodgers still exist today. In fact, Jackie Robinson, the Dodger who made history as the first African-American to play Major League Baseball, his house is up for sale and there have been debates about preserving his Tilden Avenue house. If you wanted to take a DIY tour of Brooklyn, you should include a trip to Jackie Robinson's Tilden Avenue home. Although you can't go inside, there is a plaque on the side of the home noting Robinson lived there. Know that a baseball legend lived in the home. However, if you want to see where he played, that was unfortunately torn down years ago. Ebbets Field, one of the most important places in Brooklyn's history, was built in 1913 at 1720 Bedford Avenue in Brooklyn, NY. The field was at the intersection of Bedford Avenue, Sullivan Place, McKeever Place, and Montgomery Street. Some say it was located in Flatbush, others in Crown Heights. The confusion is not over where the stadium was located, but over the shifting names attributed to that area. It is within a few blocks walking distance of Medgar Evers College and the Lefferts House in Prospect Park, and .7 miles from the Brooklyn Museum. You can't see the field because it was torn down. There is a plaque on the side of the apartment complex that is now on the former site of the baseball stadium. Before the Dodgers made their home at Ebbets Field, they were called the Brooklyn Superbas and played at the Old Stone House in Park Slope. You can visit the Old Stone House and see the original clubhouse for the Brooklyn Superbas/Dodgers. If you want to school yourself in Brooklyn baseball history, you should head to one of Brooklyn's beloved independent bookstores and pick up Bums: An Oral History of the Brooklyn Dodgers by Peter Golenbock or The Greatest Ballpark Ever: Ebbets Field and the Story of the Brooklyn Dodgers by Bob McGee. If you want to go on a Brooklyn Dodger's Jackie Robinson-themed walking tour, check out this great piece in Untapped Cities, highlighting a great walk through Brooklyn's baseball history. Enjoy your baseball-themed trip to Brooklyn. Don't forget to schedule a Cyclones game.